Makeup is easily considered a girl’s best friend. But let’s face it, do you really clean your makeup brushes regularly and properly? If the answer is no, then your best beauty tool may also be your skin’s worst enemy. Germs multiply on your brush moments after usage and can cause serious grunge on your face­­—hello breakouts, blemishes, and bacteria! NEW YOU: Why is it important to clean makeup brushes? 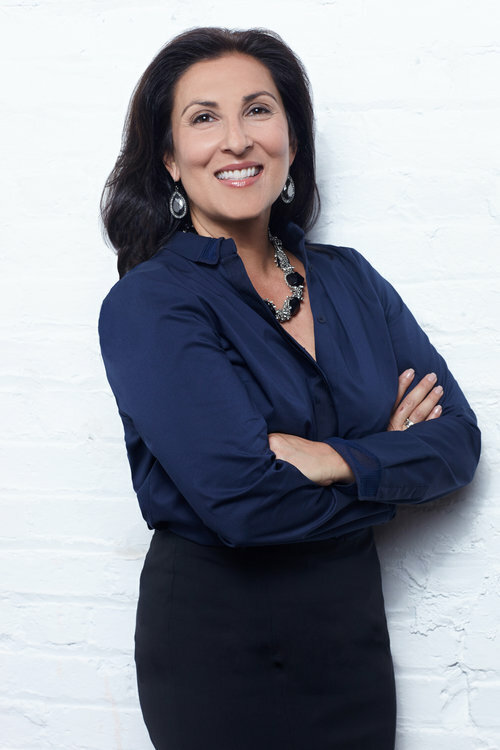 ANISA TELWAR-KAICKER: Overtime, brush bristles can trap makeup product residue, oil and dead skin, creating a breeding ground for bacteria, which can be harmful to your skin. Additionally, dirty brush fibers can’t pick up the makeup as effectively impacting the product application and your ability to create a certain makeup look. As a vital part of our overall wellbeing, it’s important to keep our skin healthy. 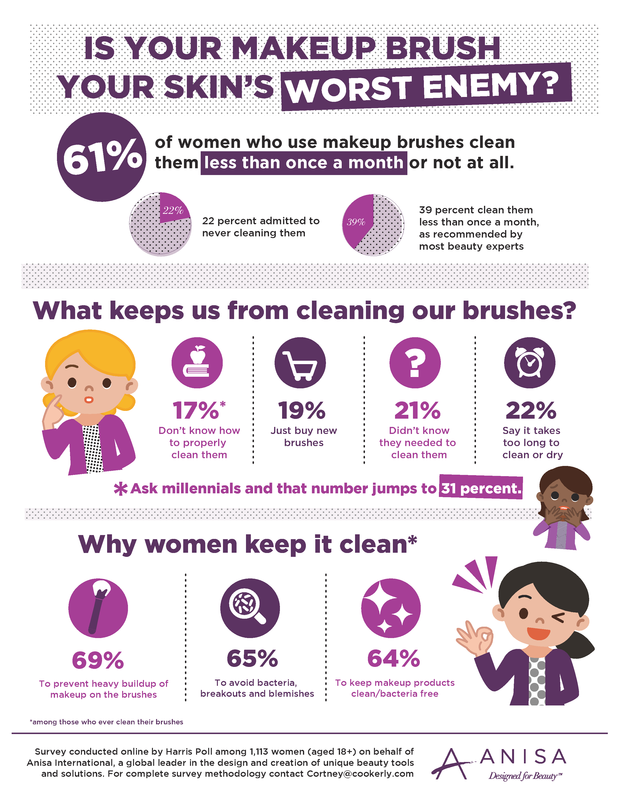 Many women don’t realize the correlation between healthy skin and cleaning makeup brushes. In addition to overall hygiene and skincare, regular cleaning protects your beauty tool investment and maximizes the effectiveness of your makeup products. 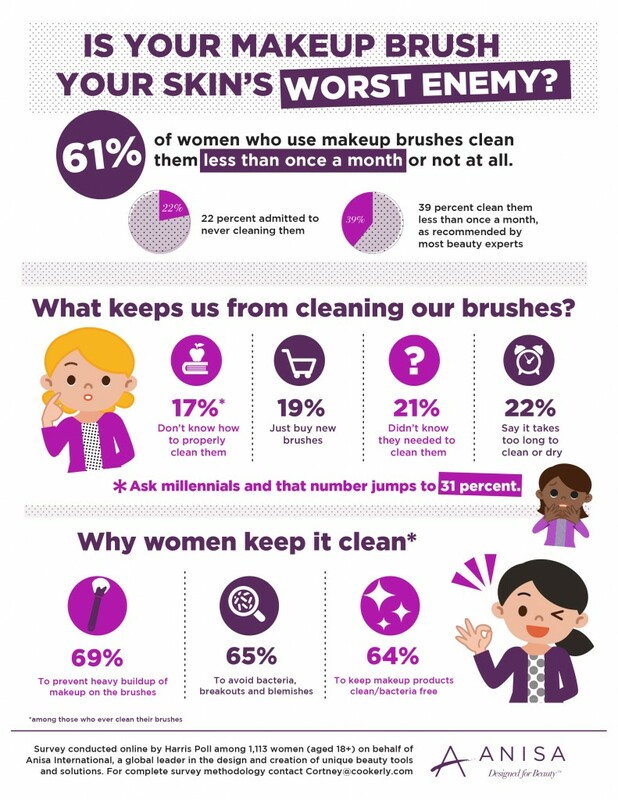 NY: How often should you clean your makeup brushes? ATK: According to our recent survey of women, 61 percent of women who use makeup brushes clean them less than once a month or not at all. At Anisa International, we recommend a weekly or bi-weekly routine in addition to a monthly deep clean. Whether you’re using wipes, sprays, shampoos or oils, it’s essential to clean your brushes on a regular basis. NY: What is the best way to clean makeup brushes? ATK: For daily maintenance, our company recently partnered to develop and launch brush cleaning wipes. These individually wrapped, disposable wipes combine ease-of-use and convenience, and brushes dry in minutes. When it comes to a deep cleaning wash, we recommend using a cleaner designed specifically for brush heads. Gently run the brush under water, massaging the cleaner through the bristles. Do not soak your brush as the water can damage the ferrule – the metal piece that holds the brush fiber in place – leading to fiber fall out. Once the soap residue is rinsed clean, lightly pat dry on a towel to remove the excess water using a similar motion as with the brush cleaning wipes. Carefully reshape the brush head and lay flat to dry. Remember that the drying process can take many hours so you may want to leave them overnight. NY: How do you know when to throw makeup brushes away/when makeup brushes are no longer effective? ATK: It’s easy to get attached to your favorite makeup brush, however, when you begin to see the fibers dry out or prickle your skin, it may be time for a replacement.